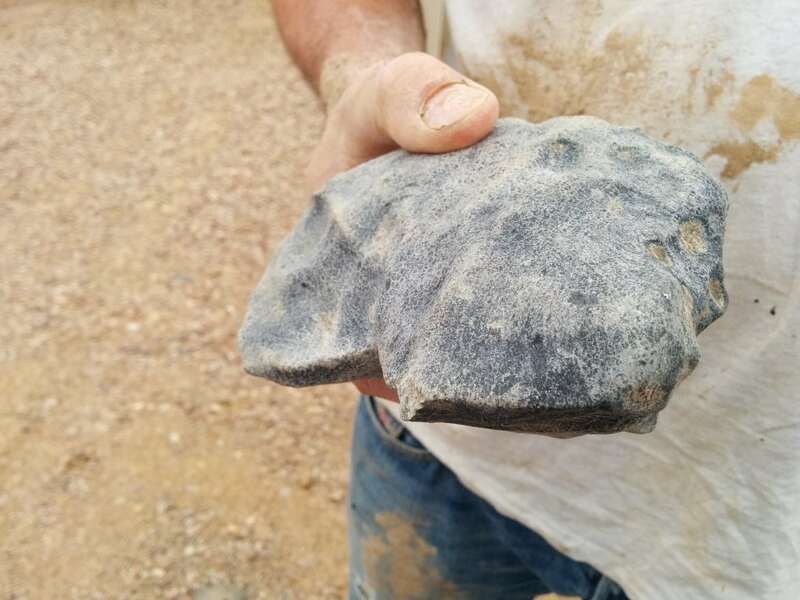 All classes of meteorites are derived from unique parent bodies. With the exception of lunar and martian meteorites, which originate from differentiated planets, these parent bodies are a meter to km-sized fragments of rock residing in the asteroid belt. Although most of these asteroids did not reach temperatures required for chemical differentiation, the majority experienced some degree of aqueous alteration or metamorphism. Meteorites that originate from these unmelted asteroids are called chondrites. Recent work suggested that the CV and CK chondrites, once thought to represent two unique asteroids, were instead material from a single asteroid. We have challenged this single parent body model based primarily on compositions of the oxide mineral magnetite, which indicate that the CK chondrites formed under more oxidizing conditions than the CV chondrites. Differences in oxidizing conditions are difficult to reconcile using the single parent body model, as this model would require a sudden increase in oxidation during metamorphism (heating). It is not clear where the fluid necessary for oxidation would be derived from. Recent work on Cr isotopic compositions, which are distinguishable between the CV and CK chondrites, also support the assertion that the CV and CK chondrites originate from two parent bodies. There is no denying that the CV and CK chondrites share many mineralogical and petrographic characteristics. As a result, classification of samples in the two groups can sometimes be difficult. This is particularly evident when attempting to distinguish between CV chondrites and the subset of CK chondrites that have experienced mild metamorphism (i.e., unequilibrated CKs). CK chondrites that have been more extensively metamorphosed are recrystallized and easy to distinguish from the CV chondrites. This textural recrystallization is absent in the unequilibrated CK chondrites. Thus, misclassification of the CV and unequilibrated CK chondrites is likely a common occurrence. Hart and Northwest Africa (NWA) 6047 are an excellent example of this. Both samples were initially classified as unequilibrated CK chondrites based primarily on the presence of Cr-rich magnetite. However, a closer examination of silicate and oxide mineral compositions reveals that both samples are actually CV chondrites. This reclassification is also supported by petrographic evidence, such as the ratio of chondrules to the matrix and the presence of olivine-rich igneous rims around some chondrules. Composition of magnetite: Magnetite in CK chondrites contains higher abundances of Cr2O3, TiO2, NiO, and Al2O3 than magnetite in the CV chondrites. The following are lower limits for classification as a CK chondrite: 3.0 wt% Cr2O3, 0.1 wt% TiO2, 0.2 wt% NiO, and 2.0 wt% Al2O3. Composition of chondrule olivine: CV chondrites consists mostly of low-FeO (type 1) chondrules (typically < Fa10), while CK chondrites are dominated by high-FeO (type 2) chondrules (Fa16-25). Composition and heterogeneity of matrix olivine: Matrix olivine in CK chondrites is well-equilibrated (Fa32–37), while CV chondrites have a much wider range of Fa contents. Nickel content in matrix olivine is also an important criterion, as NiO in matrix olivine is < 0.3 wt% in the CV chondrites and > 0.3 wt% in the unequilibrated CK chondrites. Abundance of chondrules: On average, CV chondrites contain almost twice as many chondrules as CK chondrites (~40 vol% in CVs and ~22 vol% in CKs). Presence of chondrule petrofabric: Elongated petrofabrics have been observed in the CV chondrites but not in the CK chondrites. Thus, samples containing chondrules with an elongated petrofabric are likely to be CV chondrites. The study, Reclassification of Hart and Northwest Africa 6047: Criteria for distinguishing between CV and CK3 chondrites was recently published in the journal Meteoritics & Planetary Science. Tashsa L. Dunn is a Clare Boothe Luce Assistant Professor of Geology at Colby College. Her main areas of expertise are: meteorites, asteroids, solar system, minerals, and rocks. She received her Ph.D. in geology from the University of Tennessee in 2008.